Given the reach of federal constitutional law and the attention the topic garners in law reviews, law schools, and general popular discourse, a certain degree of federal-centricity is understandable in most scholarly discourse about originalism. 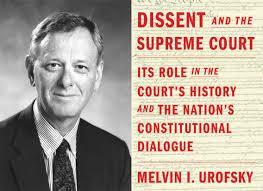 Nevertheless, the near universal tendency of scholars to think only about the U.S. Constitution when debating originalism undermines claims by both proponents and opponents of originalism by failing to account for the massive body of originalist case law in state constitutional interpretation. This article seeks to broaden the field of discussion about originalism by demonstrating that 38 of 50 state courts of last resort have consistently been invoking originalism, since as early as 1804. Indeed, not only have these courts expressly and consistently invoked originalism during this time period, but they also identified originalism as the primary canon of constitutional interpretation. In other words, for this super majority, originalism is supposed to be the goal of state constitutional interpretation. This is not to say that state courts are always originalist when interpreting their constitutions or that they always get a question of original meaning correct. Instead, the importance of this body of case law is for the broader debates about originalism in general. And although a full exploration of the impact of state constitutional originalism is beyond the scope of this article, there are important implications, potentially impacting topics from the traditional Bork-Scalia creation narrative of originalism, to more recent predictions about originalism’s impending demise, to assertions about originalism being partisan, to recent scholarship about originalism as law. We are delighted to announce that Gautham Rao will be joining us as a guest blogger over the next month. Rao is an Assistant Professor of History at American University and a prolific scholar of U.S. law and governance in the early national period. He holds a Ph.D. from the University of Chicago and has held the prestigious Samuel I. Golieb legal history fellowship at New York University School of Law. He is the author, most recently, of National Duties: Custom Houses and the Making of the American State (University of Chicago Press, 2016), which we hope he'll tell us much more about this month. His article, "The Federal Posse Comitatus Doctrine: Slavery, Compulsion, and Statecraft in Mid-Nineteenth-Century America," received the Erwin Surrency Award from the American Society for Legal History, and the James Madison Prize from the Society for the History of the Federal Government. His work has also appeared in Law & Social Inquiry and Boundaries of the State in U.S. History (edited by William Novak, Jim Sparrow, and Stephen Sawyer). 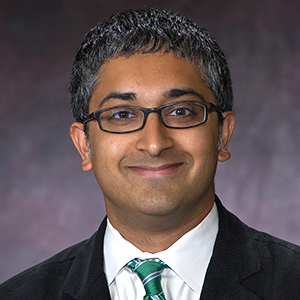 Professor Rao is an active member of the American Society for Legal History (he has chaired the Kathryn T. Preyer award committee in recent years) and currently serves on the editorial board of Law and History Review. "The Supreme Court’s New Lochnerism and the Concept of Property"
"Outcasts from the Vote: Woman Suffrage Activism and Disability over the Long 19th Century United States"
The death penalty in the 19th century in both colonial Australia and Great Britain was widely seen as necessary for punishment and deterrence. However, the prerogative of mercy served a vital role during this period in mitigating the effects of capital punishment. This article examines the exercise of the death penalty and the prerogative of mercy in colonial Australia during the period from 1824 to the grant of responsible government in 1856 with respect to bushrangers. Bushrangers despite their often celebrated and even sympathetic status in ‘popular culture’ were perceived (in official and ‘respectable’ circles at least) as more than mere colonial criminals and as posing a particular threat to the often tenuous stability and even existence of early colonial society. However, even offenders ‘beyond the pale’ such as bushrangers were not exempted from the benefit of mercy. It is argued that the prerogative was taken seriously in colonial Australia by the public, the press and notably the authorities to even the worst of capital offenders such as bushrangers. Different conceptions were expressed during the time, ranging from ideas of mercy as based on desert and equity, as something that was predictable and consistent, to ideas of mercy as an undeserved gift. These debates about the prerogative of mercy articulated different conceptions of law and order, community and justice in an embryonic, self-governing society. There’s not a hot summer week that goes by without a new review of Jeffrey Toobin’s American Heiress, which made its way to the pages of The Guardian this week. In the New Yorker, Adam Gopnik reviews Heather Ann Thompson’s take on the prison riots in Attica, NY, which--despite being “occasionally undermined by a desiccated political vocabulary that bears little relation to the reality of American life, then or now”--uses newly released material from the Nixon White House tapes to “extend humanity and individual witness” to the prison guards as well as the prisoners. In the LA Review of Books, John McGreevy reviews The Origins of American Religious Nationalism by Sam Haselby, who describes American nationalism as a product of conflict between “frontier revivalists” and the “nationalist missionaries” of New England. On H-Net, Christoph Rosenmüller reviews Manuel Torres Aguilar’s Corruption in the Administration of Justice in Colonial Mexico. A Special Case; Barbara Krauthamer reviews Bryan Rindfleisch’s Black Slaves, Indian Masters: Slavery, Emancipation, and Citizenship in the Native American South, and Diana Wylie reviews Carrol Clarkson’s Drawing the Line: Toward an Aesthetics of Transitional Justice. The Harry Middleton Fellowships in Presidential Studies provide two $5,000 fellowships each year for research at the LBJ Library and at least one other facility of the National Archives and Records Administration. Preference to PhD students. Deadlines are Sept.15 (for spring term) and March 15 (for fall term). Full information is available here. By now, members of the American Society for Legal History with email addresses should have received an email and link to vote for members of the Board of Directors and the Nominating Committee. Postcards have been mailed to members without email addresses. If you believe you are a member but have received neither, you might want to check in with Professor Patricia Minter, chair of the ASLH's Membership Committee. Balloting closes on September 25, 2016. If you're not a member but read this blog, why don't you join up? Legal borderlands include spaces crisscrossed by jurisdictional, political, and racial/ethnic boundaries. Other legal borderlands are international boundaries that divide cities and families. In addition to physical spaces, legal borderlands also include philosophical spaces where the legal code is ambiguous or contradictory—those offering “separate, but equal” protections, for instance, or those defining American Indians simultaneously as sovereign nations and as wards of the federal government.Similarly contradictory legal borderlands include the many competing codes and jurisdictions regulating criminal law, immigration, mineral rights, reproductive rights, water distribution, and other fundamental concerns in the legal history of the North American West. Evelyn Hu-DeHart (Brown University) will deliver the keynote lecture, titled “Many Fronteras: Multiple Spaces of Cultural and Legal Contact, Conflict and Exchange in the Americas, 1600-1900.” The full program is available here. The sign out front says it’s America’s first law school, but one could easily mistake the one-room structure on a quiet street in Litchfield, Connecticut, for a well-maintained storage shed. Are you working on the legal history of disasters, poisoning, animals, inventions, travel, hospitals, or forensic science? If so, your research probably sits at the intersection of legal history and the history of science, medicine, or technology. The Institute for Constitutional History is pleased to announce another seminar for advanced graduate students and junior faculty, "Dissent and the Supreme Court." A dissent on the nation's highest court may be no more than an angry reaction to the majority or frustration that the rest of the court does not share the dissenter's views. But in some cases the dissent is more than disagreement; it is part of a constitutional dialogue that may affect the immediate case or take years before the dissenting argument is accepted by the Court. It took over twenty years before Hugo L. Black's dissent in Betts v. Brady (1942) became accepted in Gideon v. Wainwright (1963), but in every Sixth Amendment case that came up, the justices had to speak to the argument Black had made. In this seminar, we will look at the conversations that dissenters have with other members of the Court, the other branches of government, and the public, and examine in depth some of the iconic dissents. The instructor is Melvin I. Urofsky, professor emeritus of history at Virginia Commonwealth University. He is the longtime editor of the Journal of Supreme Court History and has written widely on American constitutional development. His most recent books are the prize-winning Louis D. Brandeis: A Life (2009) and Dissent and the Supreme Court (2015). The seminar meets Monday nights, 6:00-8:00 p.m., September 12, 26, October 10, 24, November 7, and 21, 2016, at The George Washington University Law School, 2000 H Street NW, Washington, DC 20052. It is designed for graduate students and junior faculty in history, political science, law, and related disciplines. All participants will be expected to complete the assigned readings and participate in seminar discussions. There is no tuition or other charge for this seminar, though participants will be expected to acquire the assigned books on their own. Although the Institute cannot offer academic credit directly for the seminar, students may be able to earn graduate credit through their home departments by completing an independent research project in conjunction with the seminar. Please consult with your advisor and/or director of graduate studies about these possibilities. Space is limited, so applicants should send a copy of their c.v. and a short statement on how this seminar will be useful to them in their research, teaching, or professional development. Materials will be accepted only by email at MMarcus@nyhistory.org until June 15, 2016. Successful applicants will be notified soon thereafter. For further information, please contact Maeva Marcus at (202) 994-6562 or send an email to MMarcus@nyhistory.org. Mayeri reviews Turk on "Gender and Rights in the Modern American Workplace"
Katherine Turk’s elegantly written, deftly argued study of Title VII’s first half-century spotlights working-class women’s distinctive legal activism, deepening our understanding of the promise and limitations of American antidiscrimination law in an era of increasing income and wealth inequality. Using fine-grained case studies as emblematic of larger themes, Turk takes us deep into ground-level campaigns and controversies in a diverse array of workplaces, organizations, and government agencies, from the New York Times and the National Organization for Women (NOW) to municipal employees’ unions to hospitals and hotels where women and men struggled for better and fairer conditions for all workers. Working women built cross-class and interracial coalitions with labor and feminist organizations to fight for pay equity, comparable worth, higher safety standards and workplace protections, paid family and medical leave, occupational mobility, and accommodation of family responsibilities. This chapter explores the effect that the turn to history has had on the field of international law. 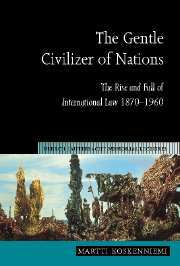 The publication of Martti Koskenniemi’s history of the international legal profession, The Gentle Civilizer of Nations, is often presented as representing a moment at which the field of international law took a ‘turn to history’, or more precisely, a turn in its mode of writing history. Of course, international law has always had a deep engagement with the past. Past texts and concepts are constantly retrieved and taken up as a resource in international legal argumentation and scholarship. Thus the ‘turn to history’ trope marks a turn to history as a critical method, rather than a turn to history as a substantive engagement with the past. Koskenniemi himself introduced The Gentle Civilizer as a ‘move from structure to history in the analysis of international law’ and ‘a kind of experimentation in the writing about the disciplinary past’. In later work, however, he became much conventional in his exposition of history as method, arguing against the ‘sin of anachronism’ and urging critical scholars to focus on the meaning of texts for their authors’ ‘contemporaries’. A similar turn to history as method more broadly begin to shape new writing about international law over the decade following The Gentle Civilizer’s publication. This chapter suggests that the turn to history as method that followed in the wake of The Gentle Civilizer was an abandonment of the critical potential of that initial work. What marked out The Gentle Civilizer as a singular achievement was Koskenniemi’s attempt to hold together the history of international law, the sociology of international law, and the practice of international law. If the attempt to hold together those genres is abandoned, the critical potential of historical work in international law is lost. The chapter concludes by exploring what the historicizing of international law as a critical gesture might mean for the field going forward. Since at least the sixteenth century intoxication has frequently been seen as a problem in western cultures – a medical, social, political, moral, and economic concern, affecting both individuals and social bodies, that huge amounts of public funding and energy have been devoted to understanding, addressing, and preventing. Just as frequently, these attempts have failed, even when they are based on apparently incontrovertible ‘scientific’ evidence – to do with serious physiological damage done by alcohol to the brain and liver, for example, or serious personal and social harms caused by illicit drugs. To this end the interdisciplinary workshop brings together exponents of and experts in different kinds of discourse: medical, psychological, cultural, economic, law and politics, public health. But it also brings together experts in social practice: for example, social historians, anthropologists, and sociologists. The workshop provides an opportunity for speakers to think about the epistemologies, language, and assumptions of discourses relating to intoxicants and – in particular – the means by which they are publicly communicated: by whom, to whom, in what media and genres. It also asks students of social practices to think about the key discursive influences on their construction, reproduction, meaning, and value over time. For a full list of speakers and registration, please click https://www.intoxicantsproject.org/project-workshop-intoxication-discourse-and-practice/ The deadline for registration is 16 September 2016. 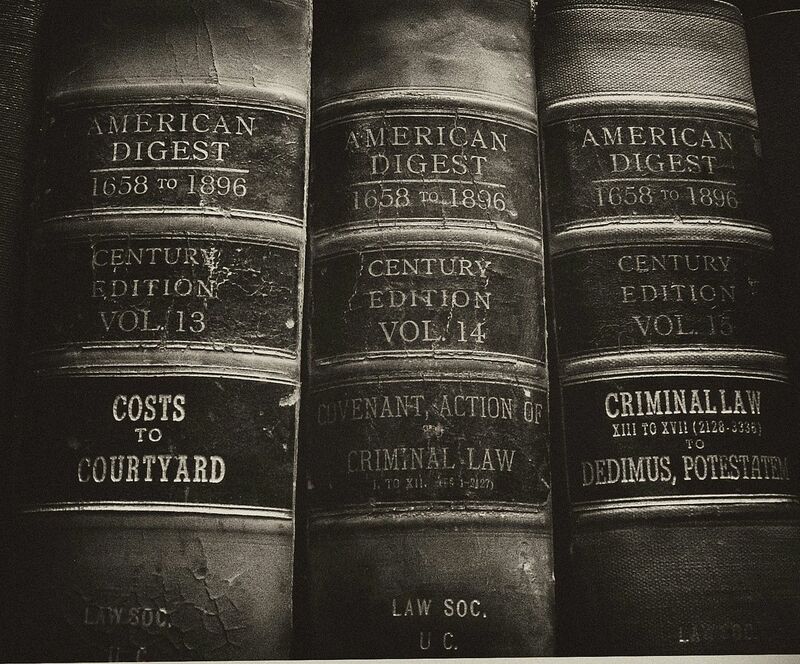 Everyone agrees that American tort law expanded significantly in the late nineteenth century. But the story of that change, as usually told, is radically incomplete. One important precondition of tort law as we now know it was a major change in evidence law, one that only began to emerge after 1850. Before then, plaintiffs, defendants, and other “interested” parties were almost universally prohibited from testifying in civil trials. With this prohibition on party testimony, what the jury knew about the facts underlying a tort action was derivative and incomplete. Far fewer tort actions were brought at all, because often the only evidence available to the plaintiff was his or her own account of what had happened, and that was inadmissible. But with the change, victims of personal injury were now able to describe, before juries, the circumstances in which they had been injured. They were able to talk about what they had done, what the entities they were suing had done or not done, and how they had suffered. They no longer needed the fortuitous presence of third-party witnesses to elicit testimony about how had they had been injured. The abolition of the prohibition on party testimony, in short, made it much easier to succeed in personal injury lawsuits. At stake in this transformation was the very epistemology of the civil trial. With the admission of party testimony, civil trials went from being pre-modern efforts to resolve disputes whose outcomes were affected by the spiritual weight assigned to oaths taken by third-party witnesses, to the modern searches for factual truth that we now (incorrectly) assume they always have been. Without this transformation, other factors that later brought about modern tort liability could not have exercised the influence that they did have. The transformation created the very conditions under which modern tort law could, and then did, emerge. Yet the transformation and its significance for tort law have gone largely unrecognized. Modern tort scholars appear to be completely unaware of the prohibition on party testimony, and have therefore failed for more than a century to take it into account in the way they have written and taught about the development of the law of torts. Because the rules and practices that preceded the transformation have now completely disappeared from modern torts cases, what it accomplished may appear, incorrectly, to have always been the case. But it is lack of visibility, rather than lack of responsibility, that has actually been at work in hiding the significance of the transformation for the emergence of modern tort law. Philip Thai, Assistant Professor of History, Northeastern University. “Legal Shades of Grey: Coastal Trafficking, Underground Markets, and Symbiotic Economies in Socialist China." September 14, 2016: "Death and the War Power," Mary Dudziak, Emory University School of Law. October 12, 2016: "Practicing Gradual Emancipation in New Jersey," Professor Hendrik Hartog, Princeton University. October 19, 2016: "Eastminster - State-Formation and Asia's Deviations from Westminster," Harshan Kumarasingham, Max Planck Institute for European Legal History. Walls and bridges: exclusion and inclusion. Everybody recognizes these two contradictory themes; they have a big role today in national politics, and national law; in international politics, and international law. A famous old statement had it that all politics is local; but today, all politics is, in some sense, global. If country A wants to close its borders, and close back in on itself, it is because it is reacting to turmoil outside its boundaries. Today, no wall can ever be high enough to shut out the forces that are shaping life in the 21st century, for better or for worse. We think our field can help us understand that world, what makes it tick, where it has been, and where it is going. Our theme focusses on walls, borders, and bridges. But of course, we welcome all studies of law and society; empirical studies, no matter how small, no matter how local, can be tiles that fit into a larger mosaic; and many of these studies will be relevant to our theme, even when this relevance is a bit hard to see.. . . . The Law & History CRN (CRN 44) offers to help organize legal history panels for the annual meeting. If you have a paper you'd like to present, send your abstracts to us (email addresses below) by Oct. 10, which should give us enough time to organize papers into panels by the deadline. And if you are putting together a panel yourself, and would like us to sponsor it, please let us know, and feel free to note it as such in the LSA submission process. We look forward to hearing from you; please let us know if you have any questions. There are a couple of reviews of interest in the new issue of The Federal Lawyer. Wendie Ellen Schneider's Engines of Truth: Producing Veracity in the Victorian Courtroom is reviewed. Also reviewed is Imbeciles: The Supreme Court, American Eugenics, and the Sterilization of Carrie Buck by Adam Cohen. 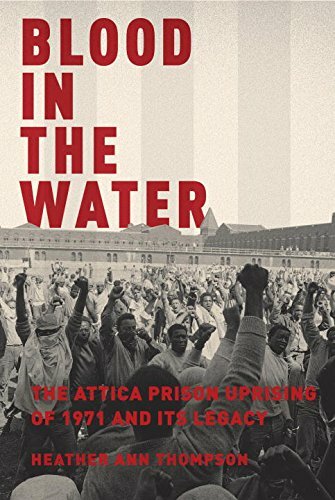 In the New York Times is a review of Blood in the Water: The Attica Prison Uprising of 1971 and Its Legacy by Heather Ann Thompson. Thompson's timely work is described as a "superb work of history [with a] methodical mastery of interviews, transcripts, police reports and other documents." In The Nation, Richard White reviews An American Genocide: The United States and the California Indian Catastrophe by Benjamin Madley. Madley's work, and its naming of Indian policy in California from 1846 to 1873 as genocidal, is described by White "as a commanding one." Based on White's review, it's evident that the history described in Madley's work is both utterly tragic and tremendously important. In The Guardian is a review of Gareth Stedman Jones' "exhaustive and staggeringly well-researched intellectual biography of Karl Marx," Karl Marx: Greatness and Illusion. The large takeaway from this particular review is that Marx's own ideology was borne of a particular pre-1848 socio-intellectual milieu that made it rather distinctive from the derivative Marxist ideology that would emerge later in the century (i.e, context is important!). History Today carries a review of John Wood's Veteran Narratives and the Collective Memory of the Vietnam War. In the Economist is a review of Daniel Beer's The House of the Dead: Siberian Exile Under the Tsars. Also in The Economist is a review of Building the Skyline: The Birth and Growth of Manhattan’s Skyscrapers, Jason Barr's economic history of the construction of Manhattan's skyline. There are a number of reviews of interest on H-Net this week. There is a review of Karin Lorene Zipf's Bad Girls at Samarcand: Sexuality and Sterilization in a Southern Juvenile Reformatory. Robert Vitalis' White World Order, Black Power Politics: The Birth of American International Relations is also reviewed. Additionally, there is a review of the edited volume Why You Can't Teach United States History without American Indians. Also reviewed is Kate Baldwin's The Racial Imaginary of the Cold War Kitchen: From Sokol'niki Park to Chicago's South Side. 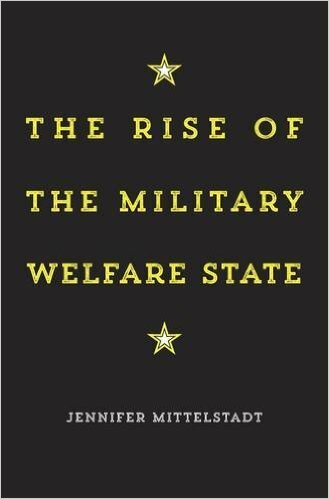 Finally, Jennifer Mittelstadt's The Rise of the Military Welfare State is also reviewed on H-Net. Mittelstadt's history of the social welfare functions served and met by the U.S. army is described as, ultimately, "a frank discussion over the growing division of the sword and shield of the republic from a portion of the nation’s citizenry that also receives social welfare benefits." A couple of interviews stood out over at the New Books Network. Paula Fass was interviewed about her The End of American Childhood: A History of Parenting from Life on the Frontier to the Managed Child. Jason Stahl was interviewed about his (punnily named) Right Moves: The Conservative Think Tank in American Political Culture since 1945. Finally, Yanni Kotsonis was interviewed by the New Books Network about his States of Obligation: Taxes and Citizenship in the Russian Empire and Early Soviet Republic. Historians of the state (in the US and elsewhere) may be interested in Kotsonis' research on the ways in which "fiscal reformers in imperial Russia used tax policies and their implementation to redefine the relationship between state and population, to develop concepts of national economies and private sectors, and to build an industry of information gathering crucial to a modern fiscal system." At the Riesenfeld Rare Books blog, Ryan Greenwood shares news here and here of the University of Minnesota Law Library's remarkable South Asian law book collection. ICYMI: Harvard Law Today on former LHB blogger Tomiko Brown-Nagin. Josh Zeitz on the immigration act of 1965 in Politico. Works of history often offer quite disparate gifts to the community of scholars they seek to reach. Transcribed, annotated, organized, and printed archival sources prove extraordinarily useful, if not particularly graceful. Their very blandness becomes a virtue, leaving the analysis for those who come later, often much later. Monographs dependent on close reading of archival sources can offer graceful, or even groundbreaking analysis, but are often more useful as springboards and correctives to other monograph writers, who must then grapple themselves with obscure, paleographically-challenging primary sources. 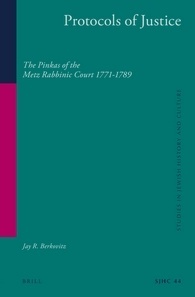 In Protocols of Justice: The Pinkas of the Metz Rabbinic Court, 1771-1789, Jay R. Berkovitz gives us both, a monumental archival source that should further the work of countless scholars in various fields of history, and a bold work of synthesis and analysis that challenges prevailing views and opens new lines of inquiry. After the successful conference, “Ocean of Law: Intermixed Legal Systems across the Indian Ocean World” held at Leiden University in December 2015, most participants were enthusiastic about following it up with another event to further explore various aspects of legal interactions in the Indian Ocean world. The Ocean of Law II is a step towards that end. We take up the same foundational questions that Ocean of Law-I raised: How did legal ideas and texts travel across borders? How did ideas and texts shape legal traditions and systems they encountered during their journey? How and why did legal cultures negotiate, influence and contest each other at the moments and sites of their interactions? However, in the Ocean of Law-II, we will focus on Islamic legal circulations across the Indian Ocean world. This field has been largely neglected by historians of Islamic law, Middle East specialists, and scholars of the Indian Ocean, despite South and Southeast Asia together being home to the largest Muslim population in the world. The unique predominance of Shāfiʿī school of Islamic law in this Indian Ocean rim has been a vital phenomenon in shaping many social, cultural, religious and political perspectives of its Muslim communities across centuries. Although the school was not predominant in the rim until the sixteenth century, it dominated the legal sphere while coexisting with many other legal systems within and outside Islam. We hope to unravel such nuances in a long-term historical perspective and/or with multi-cited ethnographic approaches. Moving beyond the Middle East-centric analysis of Islamic law, this conference thus aims to explore the ways in which Muslim communities from the so-called “peripheries” of the Islamic world shaped their lives and thoughts within and beyond the juridical frameworks of their religion. The conference will focus on the encounters Islamic law made in the Indian Ocean region with local and imperial legal cultures (including texts, people, practices and institutions). Did Sharia historically matter in their lives, or were they only Muslims-by-name, as many Arab travellers and European colonial officers accused them through centuries? Did their “customs” dominate religion to such an extent that customary law received more prominence than Islamic law, as European scholars argued in the last century? More important, to what extent did Islamic law contribute to the making of different legal systems and the practices of different empires, states and communities in the Indian Ocean rim? How did it appeal to the legal practitioners and religious followers in East, Southeast and South Asia, and East and South Africa? What impact did the increasing mobility of Islamic legal ideas, texts and jurists across the Indian Ocean world have on the trans-formation of Muslim legal thoughts and practices across these regions? How did European colonial empires codify Islamic law in the last few centuries and how did their perception of the law affect or effect Muslim legal practices in the rim? 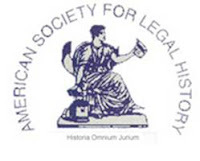 We recently noticed that the preliminary program of the annual meeting of the American Society for Legal History, October 27-30, 2016, in Toronto, is available here. Lauren Benton, Vanderbilt University, is to deliver the plenary, “Legal Panics and the Constitution of Empire.” Time to register for the conference and make those hotel and travel reservations if you haven't already done so! On September 2nd, 2016, FGV Law School in Rio de Janeiro will release volumes 11 to 15 of its Oral History of the Brazilian Supreme Court project - in cooperation with FGV Law School São Paulo and CPDOC - FGV's History and Social Sciences Department. The project has interviewed 20 former and current Supreme Court justices about their lives, careers, path towards the Court, and most important cases. It is a unique historical record to study Brazilian legal elites, the late 1980s transition from military dictatorship to democracy, the Supreme Court's recent history, etc. So far, the project has produced almost 100 hours of interviews. Books with each interview are also published. But everything is available online, licenced in Creative Commons, open access to everyone. . . .
On September 2nd, the interviews with justices Luís Roberto Barroso, Luiz Fux, Ilmar Galvão, Moreira Alves and Francisco Rezek will be made available. The justices, in addition to justices Nelson Jobim (who also coordinated the project) and Eros Grau, will be at FGV Rio's Cultural Center at 11 am, discussing the Supreme Court's history. The event is open to the public. 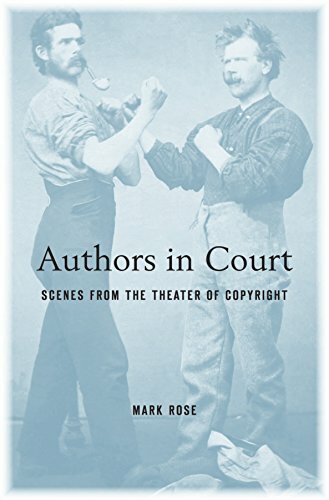 Rose, "Authors in Court: Scenes from the Theater of Copyright"
Some authors strut their roles on the public stage. For example, Napoleon Sarony—the nineteenth-century photographer whose case established that photographs might be protected as works of art—was fond of marching along Broadway dressed in a red fez and high-top campaign boots, proclaiming his special status as a celebrity. Others, such as the reclusive J. D. Salinger, enacted their dramas precisely by shrinking from attention. Mark Rose’s case studies include the flamboyant early modern writer Daniel Defoe; the self-consciously genteel poet Alexander Pope; the nineteenth-century abolitionist Harriet Beecher Stowe; the once-celebrated early twentieth-century dramatist Anne Nichols, author of Abie’s Irish Rose; and the provocative contemporary artist Jeff Koons. Look, we hate those annual communications that unintentionally herald the start of the academic year as much as you do, but bloggers gotta do what bloggers gotta do. LHB invites the organizers of legal history workshops, symposia, and lecture series to send us your schedules for the 2016-17 academic year. Please be sure to indicate whether they are open to non-members of your academic institution and, if so, a contact for potential attendees. Recent work has questioned the dichotomy between living constitutionalism and originalism on the ground that our understanding of what is “original” is itself a changing phenomenon. It is not just understandings of constitutional history, however, that evolve over time. It is also understandings of the role that history ought to play in constitutional interpretation and adjudication. Indeed, the two evolutionary processes are intertwined in complex ways. In this Essay, I sketch a brief, stylized narrative explaining how this dynamic has played out in U.S. constitutional theory over the past five decades. The upshot is that constitutional theory, no less than constitutional doctrine or constitutional history, lives. On some level, everybody understands this. But at any given time, it is far from the forefront of consciousness for most constitutional theorists. This Essay is a reminder and a call for greater self-consciousness. While the Age of Revolution has long been associated with the French and American Revolutions, increasing attention is being paid to the Haitian Revolution as the third great event in the making of the modern world. A product of the only successful slave revolution in history, Haiti’s Declaration of Independence in 1804 stands at a major turning point in the trajectory of social, economic, and political relations in the modern world. This declaration created the second independent country in the Americas and certified a new genre of political writing. Despite Haiti’s global significance, however, scholars are only now beginning to understand the context, content, and implications of the Haitian Declaration of Independence. This collection represents the first in-depth, interdisciplinary, and integrated analysis by American, British, and Haitian scholars of the creation and dissemination of the document, its content and reception, and its legacy. Throughout, the contributors use newly discovered archival materials and innovative research methods to reframe the importance of Haiti within the Age of Revolution and to reinterpret the declaration as a founding document of the nineteenth-century Atlantic World. The authors offer new research about the key figures involved in the writing and styling of the document, its publication and dissemination, the significance of the declaration in the creation of a new nation-state, and its implications for neighboring islands. The contributors also use diverse sources to understand the lasting impact of the declaration on the country more broadly, its annual celebration and importance in the formation of a national identity, and its memory and celebration in Haitian Vodou song and ceremony. Taken together, these essays offer a clearer and more thorough understanding of the intricacies and complexities of the world’s second declaration of independence to create a lasting nation-state. It looks like JSTOR subscribers may access full content here. 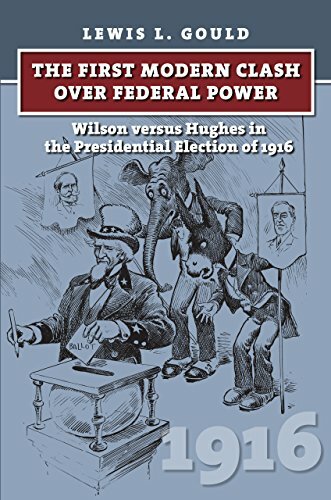 Gould on Wilson v. Hughes: "The First Modern Clash Over Federal Power"
Fully examined for the first time in this engrossing book by one of America’s preeminent presidential scholars, the election that pitted Woodrow Wilson against Charles Evan Hughes emerges as a clear template for the partisan differences of the modern era. The 1916 election dramatically enacted the two parties’ fast-evolving philosophies about the role and reach of federal power. Lewis Gould reveals how, even more than in the celebrated election of 1912, the parties divided along class-based lines in 1916, with the Wilson campaign in many respects anticipating the New Deal while the Republicans adopted the small government, anti-union, and anti-regulation positions they have embraced ever since. The Republicans dismissed Wilson’s 1912 win as a fluke, the result of Theodore Roosevelt’s “Progressive” apostasy splitting the party. But in US Supreme Court Justice Hughes, whose electoral prowess had been proven in two successful runs for governor of New York, the Republicans had anointed a flawed campaigner whose missteps in California sealed his fate very late in the election. Wilson’s strong performance as the head of a united Democratic government (for the first time since 1894), along with Americans’ uncertainty about the outbreak of war in Europe, led to victory. Along with the ins and outs of the race itself, Gould’s book explores the election’s broader meaning—as, for the first time, the popular election of the Senate coincided with a presidential election, and the women’s suffrage movement gathered steam. The year 1916 also marked the restoration of a two-party competition for president and, as we see in this enlightening book, the beginning of the two-party battle for the hearts and minds of Americans that continues to this day. This article examines the development of the federal coercion power of the U.S. government during the period from the Declaration of Independence to the Civil War. Although unhappy with the states’ defiance of federal requisitions, the Founders agreed at the Constitutional Convention that the national government should not have the power to coerce individual states militarily to force them into compliance with federal law. Instead, a federal judiciary was created to uphold the supremacy of the Constitution. As part of the new constitutional makeup, the federal government now had the power to coerce individuals, rendering the coercion of states unnecessary. However, in the pre-Civil War era, federal law was frequently disregarded by certain states. The question hence became whether the federal government could de facto coerce states by coercing individuals. These debates intensified during the South Carolina Nullification Crisis, and culminated on the eve of the Civil War, as the southern states declared their intent to secede from the Union. These multiple instances of state defiance and the eventual use of federal coercive force consolidated the new constitutional arrangement. The emergence of a distinctly national constitutional identity thus paralleled the evolution of the federal power of coercion. Too hot to go to that conference? Or pick up the draft of that essay? Or, let alone, go for that run!? Legal historians looking to beat the heat will enjoy these book reviews. In the same publication, Julia Lovell examines The Cultural Revolution: A People’s History 1962-1976, which is final volume in Frank Dikotter’s history of communism in China reveals the brutality and caprice of Mao's final years. Dikotter makes “more intensive use of evidence drawn from China’s local archives,” which many historians have ignored. He explores the capitalist aspects of the Cultural Revolution, and tracks growth of a private economy during the 1970s, “China’s reddest decade.” (Dikotter describes ’70s China--albeit more briefly--in this month’s issue of History Today). In the Times Literary Supplement, Mark Roseman reviews Final Solution: The Fate of the Jews 1933-1949, by the late historian David Cesarani. Cesarani not only “incorporates a wide swathe of recent work into an accessible narrative” but illustrates the “shifting, often unanticipated, and improvised character of anti-Jewish policies,” making it a text of interest for legal historians of mid-century Europe and the Holocaust. John Strausbaugh’s “City of Sedition” is reviewed by Harold Holzer in the Wall St. Journal,. The book chronicles New York City’s city’s “violent” opposition to Lincoln, Unionism and emancipation. Strausbaugh, says Holzer, “finds the roots of its disloyalty sowed in a zeal for pre-war, conscience-free commerce with the South, which spawned a convenient moral indifference to slavery, which was nourished by blatant racism.” The book is also reviewed in the New York Times, Vice and Newsweek, which carries an excerpt. Legal historians of a naval persuasion might enjoy the Journal’s review of George C. Daughan’s Revolution on the Hudson and Eric Lee’s Operation Basalt: The British Raid on Sark and Hitler's Commando Order. Legal historians may also enjoy the New Books Network’s coverage of two new books on voting and voting rights in America (Zachary Roth’s The Great Suppression: Voting Rights, Corporate Cash, and the Conservative Assault on Democracy and Ciara Torres-Spelliscy’s Corporate Citizen? An Argument for the Separation of Corporation and State) might be of interest to some legal historians. H-Net has reviews of Elie Podeh’s Chances for Peace: Missed Opportunities in the Arab-Israeli Conflict; Stephen M. Saideman, R. William Ayres. For Kin or Country: Xenophobia, Nationalism, and War, and Security: Dialogue across Disciplines, edited by Philippe Bourbeau. Finally, The Huffington Post’s Suggested Reading List for Donald Trump includes submissions from legal historian Robert W. Gordon (who says “I’m thinking of Edmund Morris’ three-volume biography of Theodore Roosevelt … and of James MacGregor Burns’ biography of Franklin Roosevelt”). The impending election also looms large in Max Bloom’s review of Harold H. Bruff’s Untrodden Ground: How Presidents Interpret the Constitution. Legal history and the German Law Journal. ConSource’s 7th annual Constitution Day Lecture is a conversation with Judge Robert Katzmann, Chief Judge, United States Court of Appeals for the Second Circuit, and Emily Gold Waldman, Pace University School of Law, in the Robert H. Smith Auditorium of the New-York Historical Society at 8:30 on Thursday, September 15, 2016. The topic is Judging Statutes: Interpreting Congress’ Laws Under the Constitution. The Socio-Legal Review, “a student-edited, peer-reviewed journal which is published by the Law and Society Committee, National Law School of India University, Bangalore,” invites submissions for its its thirteenth volume to be published in two issues in 2017. The European Inter-University Centre for Human Rights and Democratisation has launched the first MOOC of the Global Campus Open Learning Series. It is Disability as a Human Rights Issue: Global and National Perspectives and opens on September 12, 2016. Seth Barrett Tillman teases a project on the Presidential Succession Act of 1947. ICYMI: Amanda B. Moniz on OUPblog on how history can inform public policy today. The American University International Law Review vol.31(2) features articles by Arudra Burra, Dinusha Panditaratne, Kalyani Ramnath, and Umakanth Varottil on the colonial continuities debate in South Asian legal studies.